John T. Harris is a native of Richvale, Butte County, and has resided in the county for his entire lifetime with the exception of the time coinciding with higher education and military service. His family arrived in Richvale in the early 1900s, and his grandfather and father were pioneers in the California Rice Industry. He is still involved in rice farming in Butte County. John received his Bachelor’s Degree in 1962 from the University of California, Davis, and his Juris Doctor degree in 1965 from Boalt Hall School of Law, University of California, Berkeley. In 1966, Mr. Harris was commissioned a First Lieutenant in the U.S. Army Judge Advocate General’s Corps, and was promoted to Captain shortly thereafter. He served tours in Arizona and the Republic of Viet Nam, and was awarded the Army Commendation Medal and Bronze Star for Service. He returned to Butte County and private practice upon his return from Viet Nam in 1970. He has practiced law in Gridley since 1970. Mr. Harris has been a member of the California State Bar since 1966, and has made Estate Planning, Trusts, Estates Administration, and Elder Law his primary areas of practice. He is certified as a specialist in Estate Planning, Trust, and Probate Law by the State Bar of California Board of Legal Specialization. He also has had an active general business practice, and was Secretary and legal counsel for the Biggs-Gridley Memorial Hospital for nearly 30 years. The emphasis in his litigation practice has been in the area of probate and trust law, but he has also been involved in litigation involving business law, real estate law, and contracts. In the Mid-1970’s John served as assistant City Attorney for the City of Chico when the firm acted as Interim City Attorney. He has served as a Chapter 11 Bankruptcy Trustee, and was appointed by the Bankruptcy Court as a Standing Chapter 12 Trustee (Family Farmer Bankruptcy Act). John is a past member and adviser of the Executive Committee of the California State Bar Estate Planning, Trusts, and Probate Section. He has served as a lecturer for the California Continuing Education of the Bar on the subject of wills and estate planning. 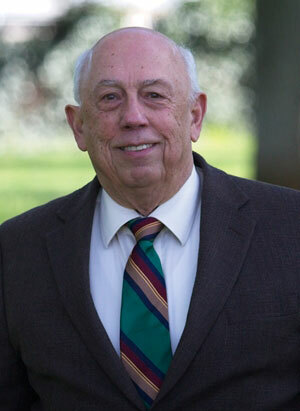 He is a member of the Mediation Panel of the Butte County Superior Court. He has taken the appellate mediation training program offered by the Court of Appeals, as well as Mediation, The Art of Facilitating Settlement, taught by The Straus Institute for Dispute Resolution, Pepperdine University School of Law. John has been active in civic organizations, is a past president of the Gridley Rotary Club, and served as a trustee of the Gridley Union High School District and as foreman of the 1979-1980 Butte County Grand Jury. He is currently Chairman of the Board of Orchard Hospital (formerly Biggs-Gridley Memorial Hospital). John is also an ordained Episcopal priest, and serves as an associate pastor of St. Timothy’s Episcopal Church, Gridley. He resides in Gridley with his wife, Marny, a retired elementary school teacher. They have three children and five grandchildren.